To access an email account with a normal security system, simply enter your address and password. However, what happens if someone else using your password? To improve security to prevent unwanted intrusions, the "two - step verification" has been introduced by Gmail..
Why you should enable two-step verification? The two-step verification prevents others from accessing without permission from the user's account if they find out the password. 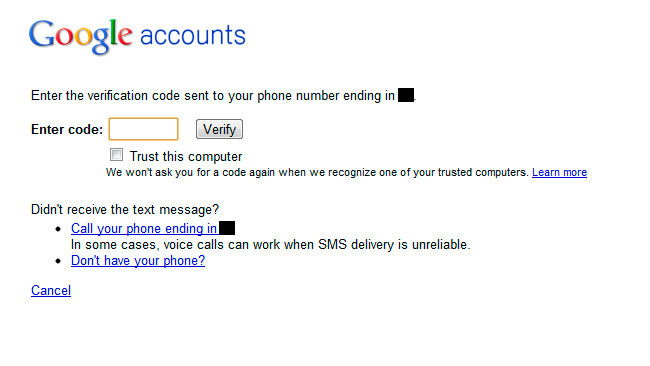 The attackers, guessed or otherwise, stealed your password, are unable to log in your account without user verification codes, which are sent to your mobile phone via sms. We have seen the advantages enable two-step verification to our gmail account, now let's see how to activate this free service. One. One. Log in your Google account in your web browser and then visit the Security settings for your Google account: https://www.google.com/settings/security/. You might have to enter the password one more time to open the settings. Two. In the section under Password & sign-in method, click on 2-Step Verification. Three. If it is not already selected, click Verification Codes. Four. Under Backup Options, click Add a phone number. This is an important step should you ever need access to your account and find yourself without your YubiKey. Note that we recommend that you have a second YubiKey for backup so that you can always access your accounts – it is like you have an extra copy of your house or car keys. Five. In the Add backup phone number dialog box, enter your phone number and specify how you want to receive codes (usually by SMS text message). If you want to verify that your backup method works, click Send Code. You also have backup codes that you can use to gain access to your account. This is an additional mechanism if you do not have access to your YubiKey or your phone. You might find it useful to copy these backup codes and put them in a safe place. To do this, click Show backup codes. A new browser window is opened so you can manage your backup codes. Click Print or Save to text file, to save your codes. In the future, if you notice you have used a few of your backup codes and you are worried about running out of them, you can return to this screen and click Generate new codes. Six. Now you are ready to register your YubiKey as your 2-Step Verification device. Click Security Keys, and then click Manage. Seven. This is the really cool part! If your YubiKey is inserted, remove it. Now click Register, insert your U2F YubiKey, wait for it to blink, and tap the YubiKey button. Your YubiKey is now registered to your account as your default Two-Step Verification device! If our phone is not available, we could only log in the account with these codes. You can store them in a place you can easily access, such as your wallet.